"Russian doctrine states that tactical nuclear weapons may be used in a conventional response scenario," Scaparrotti said on July 27. "This is alarming and it underscores why our country’s nuclear forces and NATO’s continues to be a vital component of our deterrence." In addition to new missiles, Russia is building a drone submarine, code-named "Kanyon," which is said to be designed to carry a megaton-class warhead. Moscow also is moving ahead with a hypersonic strike vehicle designed to deliver nuclear warheads through advanced missile defense systems. "Russian leaders appear to view nuclear weapons as the ultimate way to make the world ‘fear,’ or at least respect Russia, and provide a political lever to intimidate, coerce, and deter Western states from attempting to interfere militarily against Russian expansionism," the report said. 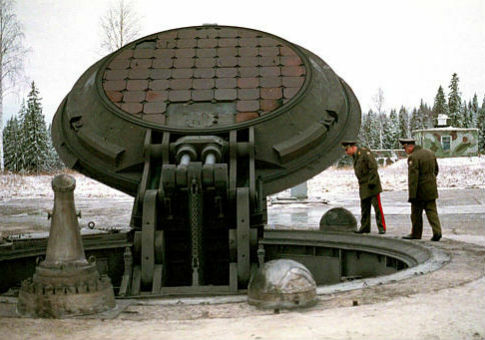 Military analysts say possible U.S. responses to Russia’s underground nuclear complexes include the development of deep-penetrating nuclear bombs capable of placing Russia's command structure at risk. Russia’s Defense Ministry revealed in January that a modernized command and control system will be delivered to strategic forces this year. This entry was posted in National Security and tagged Nuclear Weapons, Russia. Bookmark the permalink.